Walter Kross was born on 3 October 1942 in the Bronx, NY. Kross was commissioned as a U.S. Air Force Second Lieutenant through Officer Training School in December 1964. His early career combined both fighter and airlift experience as he flew 157 F-4 combat missions, 100 over North Vietnam. He later transitioned to airlift, then senior executive and congressional pilot support. He was assigned to Headquarters U.S. Air Force for six years, part of that time in the Chief's Staff Group. He has served as Commander of a C-5 wing, as Director of Operations and Logistics for all defense transportation requirements in Operations Desert Shield and Desert Storm and as Director of Operations for Air Force headquarters. Additionally, Kross was Commander of the provisional force in charge of standing up Air Mobility Command, as well as its first Vice Commander. He was also Commander of 15th Air Force, Travis Air Force Base, CA; then Director, Joint Staff, Washington, DC. 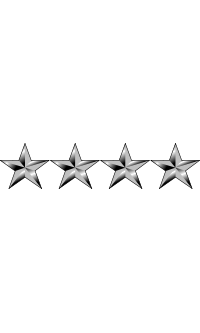 On 1 August 1996, Kross was promoted to the four-star rank of General and assigned as Commander-in-Chief, U.S. Transportation Command (USCINCTRANS) and Commander, Air Mobility Command (COMAMC). 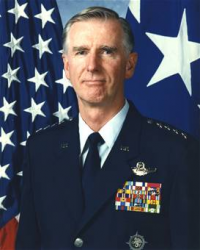 General Kross retired from the Air Force in 1998. During his service, he became a Command Pilot with over 5,700 flight hours. The aircraft flown include the F-4, C-141, VC-135, VC-137, C-5, T-37, T-38, T-33, KC-135, C-140, C-21, C-9 and KC-10. December 1964 - July 1966, student, pilot training, Laredo AFB, TX. July 1966 - February 1967, F-4 pilot, 25th Tactical Fighter Squadron, Eglin AFB, FL. February 1967 - September 1967, F-4 pilot, 476th Tactical Fighter Squadron, George AFB, CA. September 1967 - September 1968, F-4C Aircraft Commander, 390th Tactical Fighter Squadron, Da Nang Air Base, South Vietnam. September 1968 - March 1972, C-141 pilot, 76th Military Airlift Squadron, later, Flight Examiner, 437th Military Airlift Wing, Charleston AFB, SC. March 1972 - August 1974, VC-135 and VC-137 special missions pilot, 98th Military Airlift Squadron, Andrews AFB, MD. August 1974 - August 1975, student, Air Command and Staff College, Maxwell AFB. August 1975 - April 1979, Air Operations Officer, Tactical Forces Division, and later, Assistant Deputy Director for Joint and Congressional Matters, Directorate of Plans, Headquarters U.S. Air Force, Washington, DC. April 1979 - July 1981, member, Chief of Staff of the Air Force Staff Group, Headquarters U.S. Air Force, Washington, DC. July 1981 - June 1982, student, National War College, and senior research fellow, National Defense University, Fort Lesley J. McNair, Washington, DC. June 1982 - March 1984, Deputy Commander for Operations and later, Vice Commander, 89th Military Airlift Wing, Andrews AFB. March 1984 - July 1987, Vice Commander, and later, Commander, 436th Military Airlift Wing, Dover AFB, DE. July 1987 - October 1988, Vice Commander, Air Force Military Personnel Center, and Deputy Assistant Deputy Chief of Staff, Personnel for Military Personnel, Randolph AFB, TX. October 1988 - May 1990, Deputy Chief of Staff, Plans and Requirements, Headquarters Air Training Command, Randolph AFB, TX. May 1990 - July 1991, Director of Operations and Logistics (J-3/J-4), Headquarters U.S. Transportation Command, Scott AFB, IL. July 1991 - January 1992, Director of Operations, Office of the Deputy Chief of Staff, Plans and Operations, Headquarters U.S. Air Force, Washington, DC. 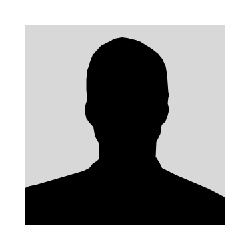 January 1992 - July 1992, Commander, Air Mobility Command (Provisional), Scott AFB, IL. July 1992 - June 1993, Vice Commander, Air Mobility Command, Scott AFB, IL. June 1993 - July 1994, Commander, 15th Air Force, Travis AFB, CA. July 1994 - July 1996, Director, Joint Staff, the Pentagon, Washington, DC. July 1996-1998, Commander in Chief, U.S. Transportation Command, and Commander, Air Mobility Command, Scott AFB, IL.